When successful and ethical managers are alerted to possible organizational wrongdoing, they take corrective action before the problems become crises. However, recent research [e.g., Rynes et al. (2007, Academy of Management Journal 50(5), 987–1008)] indicates that many organizations fail to implement evidence-based practices (i.e., practices that are consistent with research findings), in many aspects of human resource management. 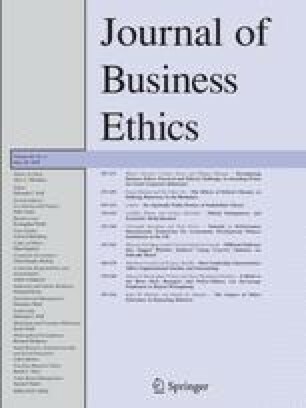 In this paper, we draw from years of research on whistle-blowing by social scientists and legal scholars and offer concrete suggestions to managers who are interested in encouraging internal reporting of problems requiring attention, and to observers of questionable activity who are considering reporting it. We also identify ways that research suggests policy-makers can have a more positive influence. We hope that these suggestions will help foster evidence-based practice regarding whistle-blowing. 1.The McDonough School of BusinessGeorgetown UniversityWashingtonU.S.A. 2.Department of ManagementKelley School of Business, Indiana UniversityBloomingtonU.S.A. 3.Kelley School of BusinessIndiana UniversityBloomingtonU.S.A. 4.Seattle University School of LawSeattleU.S.A.